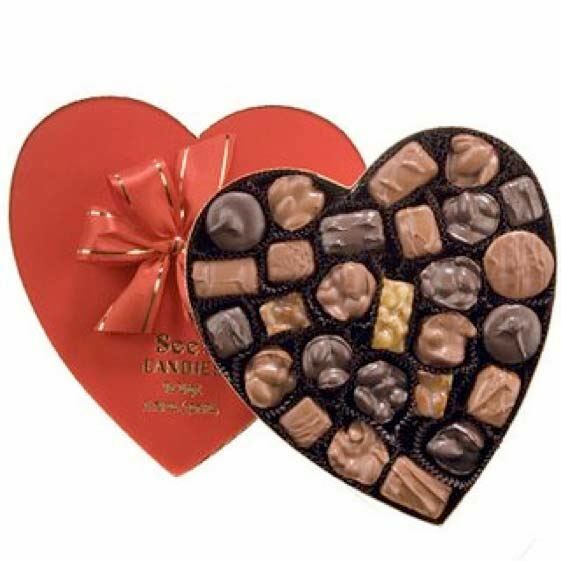 With Valentine’s Day this month, one’s thoughts often turn to chocolate candy, a preferred gift of love. Chocolates may be more than a sweet treat, however, as an increasing number of studies have shown that dark chocolate is red wine’s partner in good health. Research reported in the American College of Cardiology in 2011 found an association between chocolate and reduced stroke risk in 33,000 Swedish women between the ages of 49 and 83, without proving a cause and effect. Women who had the highest consumption of chocolate (about two chocolate candy bars a week with most bars containing 30 percent cocoa solids) had a 20 percent reduced risk of stroke. The authors of the study said they expected the results would be similar in men. Previous studies have shown (1) that the ingestion of both solid dark chocolate and liquid cocoa improve vascular endothelial function and lower blood pressure in overweight adults, (2) dark chocolate taken in moderation (a half a bar per week) supplies enough antioxidant to reduce the risk of heart attacks, (3) that in a group of women who ate dark chocolate daily for seven days, their levels of “bad” cholesterol, LDL, dropped by 6 percent, and their levels of “good” cholesterol, HDL, rose by 9 percent, (4) the Acticoa powder in the cocoa bean has an antioxidant that slows age related brain deterioration in rats, (5) that dark chocolate consumption is linked to lower insulin resistance, and (6) that chocolate inhibits platelet aggregation and reduces inflammation. A study published by a Harvard research team in Clinical Nutrition (April 2011) questioned 4,970 participants aged 25-93 years who participated in the National Heart, Lung, and Blood Institute Family Heart Study and found that consumption of chocolate was inversely related with prevalent coronary artery disease in a general United States population. Consumption of non-chocolate candy was associated with a 49% higher prevalence of coronary heart disease comparing 5+ times per week versus 0 times per week ingestion. Another study reported ahead of print publication in the American Journal of Clinical Nutrition (February 1. 2012) summarized a systematic review and meta-analysis of randomized trials of chocolate and cocoa. They found consistent acute and chronic benefits of chocolate or cocoa on flow-mediated dilatation (FMD) and previously unreported promising effects on insulin. FMD is an increase in blood flow when a blood vessel dilates and can be used as a measure of endothelial dysfunction, a precursor to atherosclerosis. Some reduction in blood pressure was also noted in the study as well as marginally significant effects on cholesterol. It has been approximated that eating 50 g of dark chocolate a day can reduce the risk of cardiovascular disease by 10.5 percent. (reported in a column by Owen Dugan: see www.winespectator.com/chocolate). Cocoa contains flavonoids such as resveratrol which are beneficial to health. Dark chocolate is second only to red wine in resveratrol content. Since dark chocolate contains more beneficial flavonoids and less sugar, it is preferred. Doctors are recommending chocolate in moderation, up to an ounce a day, preferably containing at least 70 percent cacao content or greater of dark chocolate. A cautionary note: chocolate contains significant amounts of sugar, fat, and calories as well as caffeine so strict adherence to moderation is imperative.